Self Priming centrifugal pumps with incorporated ejector. Optimum suction capability even in the presence of air bubbles. 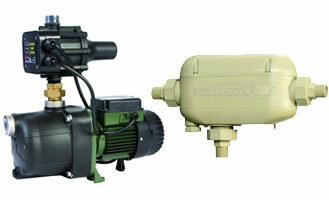 Suitable for water supply applications with suction wells, water supply and boosting of domestic systems, agricultural and gardening applications teamed with the Rainsaver Mk4e which is a clever rain saving device that automatically switches between tank water and your mains supply. No electrical parts to break down.